This entry was posted in Just Life on November 20, 2013 by Steve Tilford. I’ve spent more than my share of time with doctors over my lifetime. I was an accident prone kid. Fell out of trees, hit by cars (a taxi cab actually), ski accidents, bike crashes, you name it, I did it. Lots of broken bones, a couple surgeries, and stitches galore. I thought I wanted to grow up to be a doctor. I liked the whole feel of an emergency room, the tension, electricity. I prided myself on being brave. Cycling sort of took over that dream. Now, years and years out, I don’t regret it at all. I think that being a doctor is a very, very difficult occupation. Something that overwhelms your life at least, probably more, than bike racing does. Anyway, like I said above, I think being a doctor is difficult. Difficult for many reasons. The years of education, the hours, the pressure, stress and responsibility for people’s health. But the main reason, I believe, that being is a doctor is difficult is because we, as a species/humans, don’t really know much about how we function physiologically. We are really in the dark ages of medicine. Diagnosing obscure diseases is very, very difficult. I know some of you guys will disagree with me here. I have witnessed doctors do amazing things personally, almost godlike. And I have many good friends that are doctors. But, when you look at the whole occupation and all the knowledge people know about themselves, we really don’t know jack about how humans tick. Or any animals for that matter. Look at this Shingles diagnosis I have. I’ve never really signed off on it. But, I’ve talked to four doctors and all say that I have Shingles. They all agreed that there wasn’t any other illnesses that all the symptoms point. 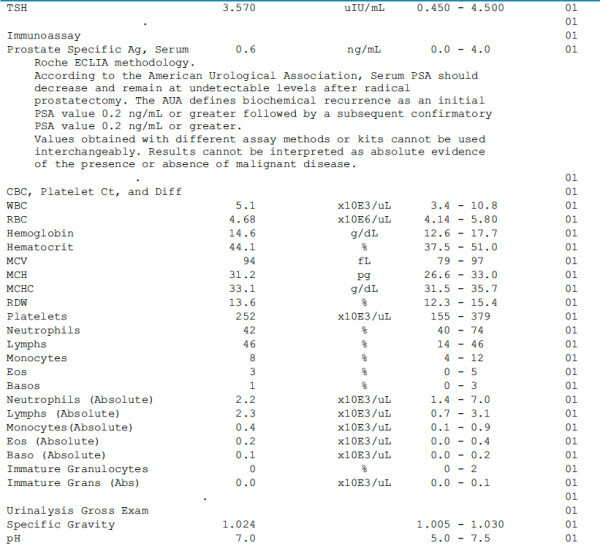 But then I did a blood test yesterday and the IgM number didn’t indicate that I have the Shingles virus. I know viruses are hard to pinpoint, but I’m just sayin’. I’m still taking the antiviral and antibiotics, but I really don’t think I have Shingles. The same with my shoulder injury this year. They went in there and screwed anchors into my arm bone and tied the tendons back onto my arm bone with string. Doesn’t that sound kind of primitive? It seems that way to me. You’d think by this point of advancement in medicine, they would have a much better way of attaching muscles to their original positions than tying they back down with string. When I get hurt or sick, unless it is major or urgent, I tend to just sit and wait it out. Most injuries I will wait weeks until I don’t think I’m healing. That is because a high percentage of the time, the body will take care of itself. If you’re a doctor, don’t take this as a slam. I realize we’ve come a long way since the Civil War. But, we haven’t progressed enough for me to have confidence in about anything going on with medicine. Sometimes I wish there was a good witch doctor around to go to every once in a while. There aren’t enough of these guys around when you need them. 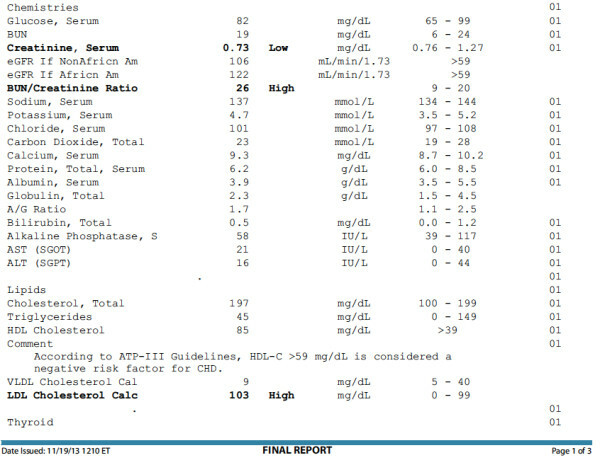 My bloodtest results from yesterday. The proper IgM test for shingles would be the IgM for Varicella Zoster virus. Also, the IgM may only be elevated for a little while during a recurrence. You have had this for several days so by now those titers may not be elevated. As to your other points, it is agreed by us docs that we do not know everything going on in the complex human body; but we are doing our best and most of us are highly dedicated to figuring these types of things out. Steve, I know your medicine natural healer Doc. Walooha Malibooha Doctor Wooh. He is great, not enough of them around like you stated. The older we get, the longer we lived. My father in law – a medical doctor – said he practiced the art of medicine – not the science … This was years ago. I’m dealing with stage 4 kidney cancer, so I’m spending a lot of time with doctors these days (more than on my bike). There’ s a lot of educated guesswork going on in my life now. I would love to have your bilirubin numbers! I’m about to get kicked off of a good med because of my high bilirubin numbers due to Gilbert’s syndrome. Doctors are doctors and surgeons are surgeons and they ain’t the same. Anyone who watched “Scrubs” knows that. And then we have dottores like Ferrari. Who are they? Maybe evil magicians. Seems to me like most of the contemporary medicine is subtractive. Like magic — subtractive is lot easier than additive. It’s lot easier to kill and cut away than actually create, be that life or health. Like surgeons cut away bits meds mostly kill things, and part of your body in the process. Very few meds actually create something. One of them is EPO. Maybe EPO is magic. Good or evil? I’m not sure. As Arthur C Clarke put it: Any sufficiently advanced technology is indistinguishable from magic. We’re not quite there yet. So yes, it pretty much looks like we’re still in the Dark Ages. There is a reason it is called “practicing” medicine… the field is constantly changing. What I learned in medical school is obsolete except for anatomy and even in that area we are finding and defining new structures. Exciting advancements are occurring in the field of orthopaedics with the onset of ortho-biologics using PRP and stem cell transplants to name a few. So we as surgeons can improve the structure of the torn ligaments/ tendons that we are reconstructing or treating. Improving the patients own biology is the frontier that we are exploring and intensively researching at this time. (www.louisvillebones.com ) . The most exciting new area in medicine is DNA sequencing. I would guess that in the next 5 to 7 years we will all get our DNA sequenced to determine what medications are most efficacious for each individual person and be able to control treatment for diseases at the gene level. I agree with Stanley above. I don’t want to second guess whoever ordered the test-they might have ordered exactly what you needed, but that’s not apparent from reading the lab results and imo if you had been tested for the specific IgM antibody to Varicalla Zoster (Shingles), your lab results should state so. Your lab results appear to have tested for a generic IgM level. At the Mayo Clinic the test for Varicella Zoster IgM is not quantitative, a specific amount of IgM antibody, it’s reported as either “positive” or “negative”. That being said, I’ve seen and diagnosed a lot of shingles in my career and it’s an easy and straight forward enough diagnosis to make that I’ve never bothered to run a test for it. It’s never been necessary, and it saves the patient some $. Without seeing your rash or having a more comprehensive description of your symptoms, where, what, how long, etc., I’m certainly not in any position to say, but if four out of four physicians have examined you and told you that’s what you have, it’s pretty likely that you do. Unfortunately, the symptoms of shingles can vary from fairly benign to severe, and if you fit in the latter category, my heart goes out to you. Oh, and BTW, that’ll be $100.00. Shingles is a reactivation of chicken pox/varicella zoster. igM indicates a recent exposure, but you probably had varicella zoster as a child. You would probbaly test positive for IgG for varicella zoster as that shows long term immunity. Hey Cyclepink…I get some of the cash too! Serology and serum DNA detection in shingles. Dobec M, Bossart W, Kaeppeli F, Mueller-Schoop J. To investigate the sensitivity of various laboratory approaches in the diagnosis of herpes zoster from patient serum. Paired sera from 53 consecutive adult patients with acute herpes zoster were tested for the presence of varicella-zoster virus (VZV) antibodies. All acute sera were tested subsequently by real-time polymerase chain reaction (PCR) for the presence of VZV DNA. In addition, convalescent sera of patients who tested initially positive for VZV DNA underwent PCR analysis. VZV IgM antibodies were found by enzyme immunoassay (EIA) in 5 acute (9%) and 20 convalescent (38%) zoster sera. VZV DNA was detected by PCR in 21 (40%) acute zoster sera and was no longer detectable in the convalescent samples. A seroconversion or a fourfold or greater titre increase was found by complement fixation (CF) test in 41 (77%), by IgG indirect fluorescent antibody assay (IgG IFA) in 43 (81%) and by CF and IgG IFA combined in 45 of 53 (85%) paired zoster sera. The combination of all serological methods detected 51 (96%) and PCR combined with serology identified 52 (98%) of 53 patients. Optimal laboratory sensitivity in the diagnosis of herpes zoster from serum can be achieved by the combination of PCR and serology of paired serum samples. Serological methods alone are of limited value for early diagnosis of zoster when therapy can be initiated, because CF and IgG IFA need convalescent serum and IgM test sensitivity is insufficient. Early diagnosis of VZV reactivation is possible from serum by PCR in the first days of illness and test sensitivity needs further improvement. The findings highlight the need for future studies into the usefulness of PCR and serology in atypical cases of VZV reactivation. Think of Doctors as BMW mechanics. Usually they get it right, but sometimes they’re just guessing. Dave, I wish you all the best now and in the future. Steve. My “two cents”. You did have Shingles. You’re one of the lucky ones. Not too severe a case. You are healthy as a horse as near as I can tell from the published tests. Lucky you. Athletes. We’re funny ones. We don’t want to be healthy by the average man’s terms; we want to be at peak performance. So, keep training, invest in nutrition and the supplements athletes need. You’ll maximize performance. HSP just did a supplement presentation. Klean, I think, was the name of the product. I came in near the end of the program; but, one of the girls I train with is a chemist. She was pretty impressed with the dosages and the combinations. Said it made sense from a science standpoint. Might investigate. You’d have to check with Todd on the product. Anyway, all I’m saying is, glad it all worked out and only we would notice those little variances in performance and energy that sometimes make us think we’re either crazy good or just on the verge of death. It’s usually nice to be in touch with our bodies; but, it’s occasionally too much information. David- I 2nd Dennis’ well wishes. I was on my phone yesterday looking at comments and meant to reply to yours. You probably know how to read a blood test better than a hematologist. The cat turned out great. Like I put in the post, I wouldn’t normally try that with a normal cat. This cat just plays dead when it gets stressed. Anyway, thanks for the comment and hoping the best for you. Thanks Steve. I’m glad your cat is doing well. We have 3 rescue cats and 1 rescue dog. I’m a softie for animals. 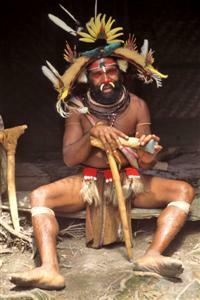 My blood tests come back in Austrian , so a mays as well have a witch doctor ? The english speaking Doc tells me that , whilst my cholestrol is high , because i am a ” sportsman ” , it doesn’t really matter ? TRied him out on what part of my diet needs attention and got the ” Stick to what you eat , as long as you are active “. Bummer about the Shingles diagnosis. Cholesterol’s looking a little high – better get that down before the doc puts you on a Statin.